All church activities are canceled for Wednesday night. Please be safe. We look forward to seeing you Sunday in warmer conditions. Merry Christmas from the Grace family to your family! Tonight we will be having a Christmas Eve service in the main auditorium beginning at 6:00. The service will last just one house and feature special music and a special speaker. Come out and celebrate the true meaning of Christmas with our church family. We sat down with two members of our church, Luke Crockett and Julie Metzger, to hear testimony of how God worked in their lives through the death of loved ones. While trials are difficult and often painful, God is in control even in the midst of the trials working all things together for good for those who are believers (Romans 8:28). Once again, the deacons will be collecting Christmas baskets of food for families in need. If you’re interested in helping, the deacon’s food barrel is located in the lobby for can or non-perishable food item donations. You may also donate a financial gift in the deacon box at the Welcome Center. Kids4Truth will be collecting on Wednesday, December 4th rolls of wrapping paper and Christmas lights to be donated to Secret Families of Madison County. This is a local charity that provides a complete Christmas for a families in need. If interested in donating, please see Amanda Huber or come by the church office. This year during the Sunday evening service, December 15th, the church choir will be performing a Christmas Cantata. The service starts at 6:00 pm and last approximately an hour and a half. Come enjoy the free performance of the story of Christmas. 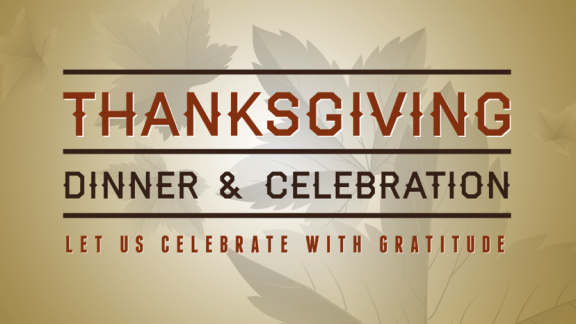 On Monday, November 25 at 6:00 pm, we will have our annual Thanksgiving Dinner in the gym, followed by a special Thanksgiving Celebration service in the main auditorium. Please contact the church for details on what sides to bring. Jason and Stephanie Burrough will be collecting shoeboxes for Operation Christmas Child. If you are interested, there will be a flyer with instructions and suggested gift items in the Welcome Center. All shoeboxes must be turned in by Friday, November 22nd. This Sunday at 10:30 a.m. at Grace Baptist Church in Anderson, IN, we honor want to those men and women who have served our country. This Sunday morning's service will include patriotic music, a tribute to all veterans present, a military flag ceremony and a special dinner for all veterans and their families after the service. Families and children are invited to the 5th annual Harvest Family Night at Grace Baptist Church on Thursday, Oct. 31 at 6:00 p.m.
Come to our safe indoor alternative to Halloween trick-or-treating. Enjoy free hay rides, a bounce house, carnival games, apple cider, s’mores, a bonfire and more. There is no cost, just come out and have a safe fun time. Harvest Family Night Video- October 31, 2012 from Grace Baptist on Vimeo.